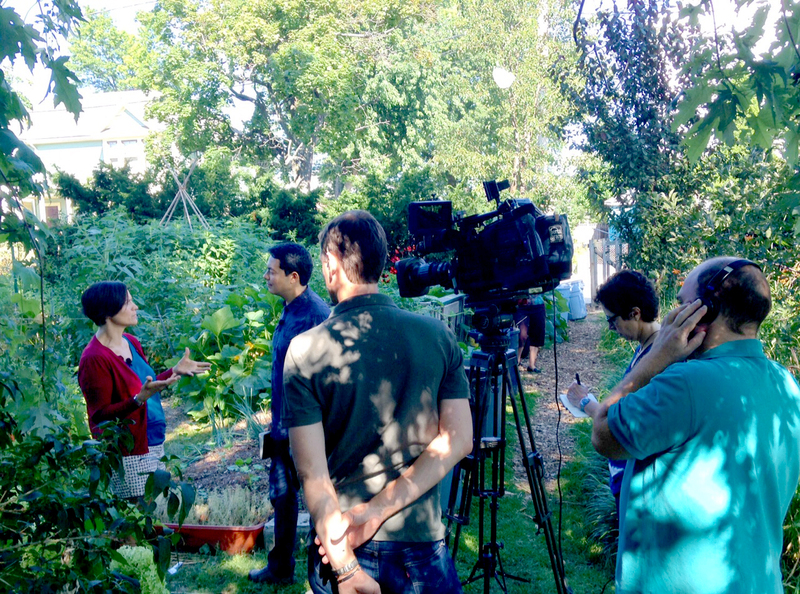 Mayor James A. Diossa thanked everyone involved for their “incredible job” creating the city’s first community garden, which he said will “bring fresh fruits and vegetables to residents in Central Falls.” He spoke of the garden’s importance as a space for the many residents who have immigrated to the US to continue growing food as they had in their native countries. 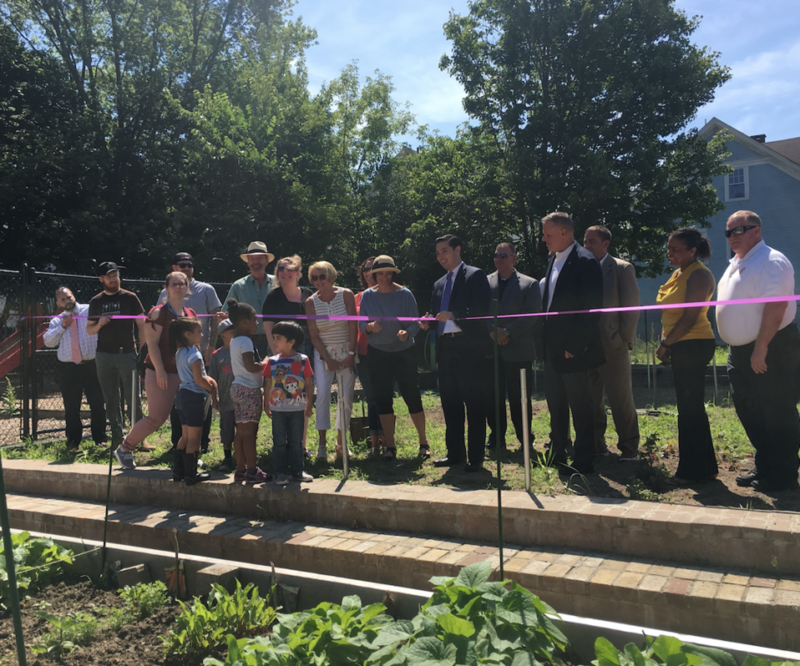 The project began in 2016 when the Mayor’s Office approached SCLT about building a community garden to help Central Falls residents improve their well-being. In 2017, the Mayor signed a long-term lease with SCLT for the land. SCLT staff will run free organic gardening workshops at the Garden, and offer residents low-cost resources including free seeds and compost. In addition to hosting plots for up to 30 families to grow food, the space will be used by community organizations and schools to teach people how to grow food. Mayor Diossa gave a special thank you to RI State Representative Shelby Maldonado, whose support of the project was crucial. He also thanked the youth from the Center for Dynamic Learning who helped to build it. After Mayor Diossa cut the ribbon, attendees, including neighbors who had already signed up for garden plots, stayed to enjoy fresh fruit, iced tea and lemonade under the Park’s shade structure. If you are interested in growing in this garden, please contact Andrew at 401-273-9419 ext. 107, or email andrew@southsideclt.org.